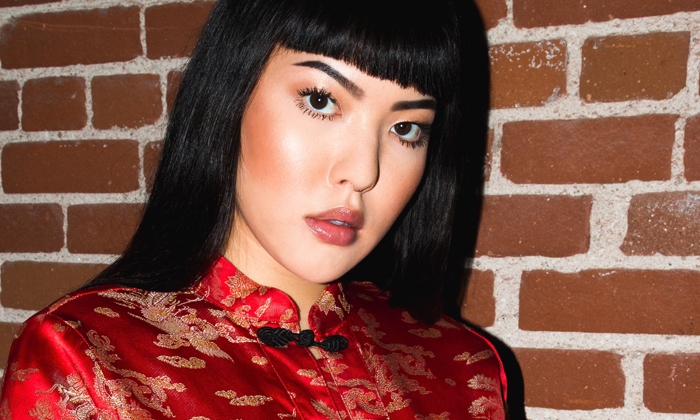 In our SoothingSista interview, you’ll discover her favorite K-beauty products, her best tips for testing new products, and her advice for finding positivity and confidence in your skin and your life. 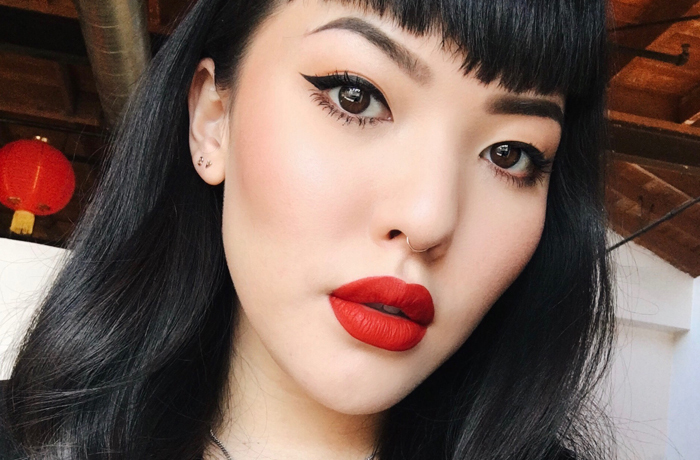 Stephanie Villa, AKA SoothingSista, has become one of the most prominent beauty vloggers in the YouTube sphere. 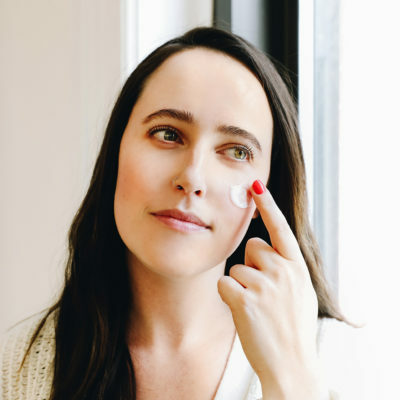 With over 300,000 subscribers, her videos offer insider tips for skin care, makeup, and fashion, as well as feature her travels around the globe. We chatted with Stephanie about everything from skin care tips to her personal journey of finding confidence in herself and the projects she’s most excited for in the coming year. How did you first become interested in makeup and skin care? My mom was never into makeup. She really consistently used Lancome. My sister was the person who really got me into beauty. I would wear some eyeliner or a little bit of brow stuff in high school but I wasn’t doing too much. My sister was the one who really got me into it because she loved using all different kinds of products. And she was the one who started getting me into YouTube videos because she would always watch videos before purchasing something because she clearly wanted to know if it was a good product or not. And that’s how I got into YouTube because she was watching all these review videos and then I started getting into it. 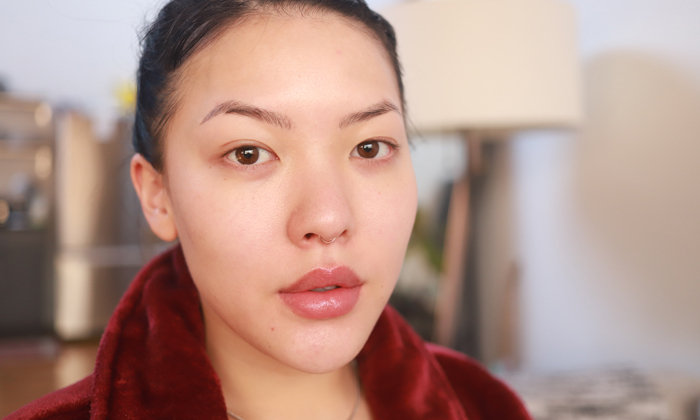 In one video, you went completely makeup-free for the first time. How did that feel? You know, probably a couple of years ago, I might’ve felt a little bit uncomfortable doing that because I really had pretty bad breakouts, but I feel completely comfortable now. It’s crazy how clear skin can just completely change your mood and change how you feel about yourself. And clearly, using good skin care is a big factor in that, but I felt totally comfortable doing that whole video which I probably wouldn’t have felt just two years ago. You also talked a lot about the way that your skin has changed, especially in the last year. What has the journey of having breakouts and testing out new products and then coming to this place where you felt confident in your skin been like? It’s definitely a long journey. I’ve had acne since the end of middle school into high school. It’s funny because I was trying to find old photos of myself and I really did not take that many photos of myself. Also, it was the time before everyone did so many selfies. But I still remember emotionally how I felt about it. I would cry. I didn’t want to go to school. I didn’t really wear makeup so I didn’t know how to cover it up, which I’m happy about because I probably would’ve used some bad stuff and it would’ve made my skin worse. It’s definitely a long journey, for sure, and I feel like I’m now comfortable with the products I’m using and I am using really high quality products that aren’t irritating my skin and are really helping me out. What’s the biggest lesson you’ve learned when it comes to treating acne? Sleep. That’s such a huge factor. There was a point where I was in grad school full time and I was working three to four days a week and I also wanted to have a social life and I was doing YouTube stuff so I just really wasn’t sleeping at all. That was when my skin was the worst. Also, there was a lot of stress involved, but for me, sleep is honestly the biggest factor. Switching up your routine can be really scary, especially if you have a history with skin issues. 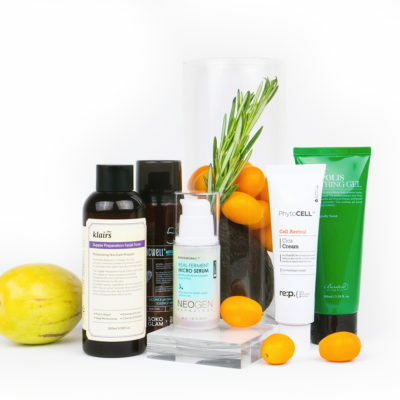 Do you have any tips for incorporating new products into your routine? That’s such a hard thing, right? 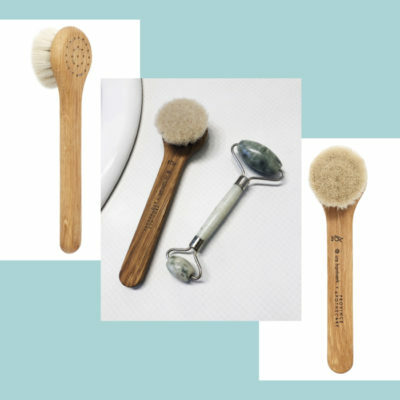 Because at this point I do try to incorporate new things sometimes, but I’m very wary because there are times when I think a product is going to be really great and a lot of people have talked about it and it seems like a very trustworthy product but an ingredient just won’t vibe with my skin. It’s just kind of a risk that I have to take. I typically will try a new product out at night and if I feel like I don’t like it, I’ll just take it off. But it really is trial and error. I have really sensitive skin too, so typically if a product says it’s for sensitive skin, it’s okay for me. How would you treat a bad reaction to patch testing when you have sensitive skin? The way that my skin would react to a bad product is to breakout. So with that I’ll try to treat it with a mask really fast or some sort of clarifying situation. I’ll use Kate Somerville’s Eradikate. For me, sulfur products work really well, so I’ll use my Eradikate Sulfur Acne Treatment or the Cosrx Acne Pimple Master Patch. That’s one of my new favorites, but for me that one really works if the pimple has already come out. Typically, I’ll just go for a clarifying mask to maybe draw that stuff out of my face. 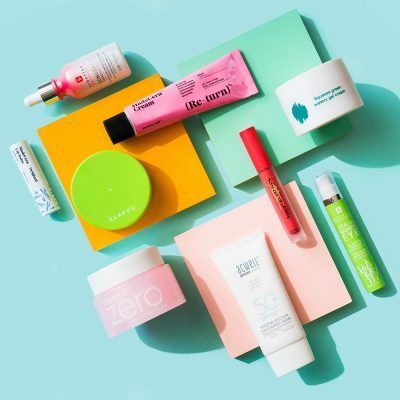 We know that you use a mix of Western and K-beauty products, what are your favorite K-beauty picks? I love Missha. I really love the essence. It’s comparable to SK-II but it’s much more affordable. It just really is hydrating and plumping on the skin. 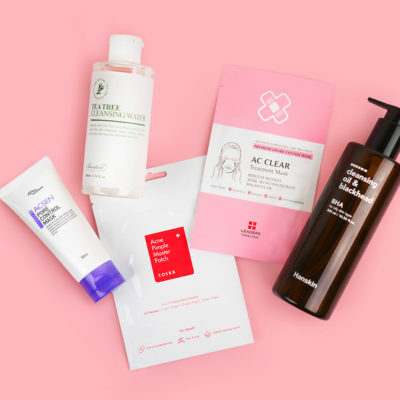 That’s probably one of my favorite K-beauty products. But other than that, I love my sheet masks as well. I’ve tried a few Neogen products that have been good for my skin. I really love the Goodal Refine Pore Modeling Mask. That one’s really cool, it’s just really fun. I just started trying out the Neogen Bio-Peel Gauze Peeling Lemon. So, for daytime when I wake up I will wash my face with the Kate Somerville Eradikate Daily Foaming Cleanser. And then I will go in with their DermalQuench Liquid Lift, which has compressed oxygen in it so its very hydrating. You spray it on your hand and then you pat it on your face and it’s just really good for hydration. That’s always my second step. It would be similar to an essence, I guess. I’ll then go in with the Dr. Jart+ Cicapair Tiger Grass Cream, which is a really soothing, gentle, but very moisturizing cream. And then for eye cream, I use the Bobbi Brown Extra Eye Repair Cream. It’s a really thick unscented eye cream. I get really dry eyelids so that’s my go-to, day and night. And then I’ve actually been trying out a couple different daily moisturizers. I started using the Supergoop Perfect Day Lotion. I’m also trying the Pur-Lisse Essential Daily Moisturizer. So, for makeup remover at night, I’ve also been using the Enature Moringa Cleansing Balm and I’ll use a muslin cloth with warm water to get that all off. Then I’ll go ahead and wash with the Kate Somerville cleanser. For a couple different treatments that I use, one of them is the Kate Somerville RetAsphere Micro Peel. 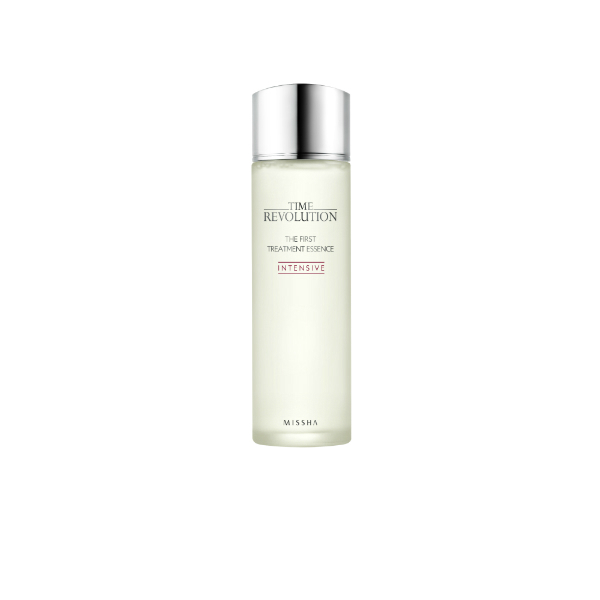 This is a retinol glycolic treatment and then I also have the Kate Somerville RetAsphere 2-in-1 Retinol Night Cream. I switch off every other day with this one. I’ve just started using retinol this year and I started using it because whenever I would get pimples in the last few years, even if I didn’t mess with it, I would always get dark spots. After that, then I will go in again with my Dr. Jart+ Cicapair and then sometimes if I wanna do a night mask, I’ve started using the Cicapair Nightly Repair Mask which is super moisturizing. And then I’ll use the Bobbi Brown eye cream as well. And then if I have pimples I’ll also use the Cosrx Master Patch. How does your skin care routine change when you’re traveling? It really depends on how long the trip is or how I’m trying to travel, but recently I’ve just been putting everything into these teeny little jars instead of using sample stuff because I don’t want to mess with my skin that much while I’m traveling. When I’m traveling, that’s when my skin kind of freaks out a little bit. Planes affect my skin like crazy so I try to keep it consistent now, so I’ll just save little jars that samples come in and then I’ll put my actual products into them. And I always, always bring some sort of overnight mask, hydrating mask with me on the plane, so whenever I get on a longer plane ride, I’ll bring a couple makeup wipes and I’ll also bring a little towel and wet it and make sure my skin is really clean and then I’ll put on an overnight mask because I feel like it gives a nice layer between my skin and whatever’s going on in the plane air. I just started using the Cicapair Nightly Repair Mask on planes. I thought that was really good and it’s convenient because it comes in little sachet things and it’s not a bottle, so you can just put it in your bag. It’s a little flat package. In your videos, you always exude a lot of confidence and are very empowering to your viewers and those around you, but we know it’s not always an easy place to get to. What has that journey of self-discovery been like? I feel like I’m really lucky in that when I was younger, I had people in my family who told me just to be myself and not to worry about anybody else. My cousin Nicky, we were always together, and he’s like one of my brothers. He told me that if anyone has a problem with you, that’s their problem, it’s not your problem. Just do whatever makes you happy and you will find the people who will accept you for who you are. I stuck with that because I trusted him so much and even though I was really upset and would be crying about something, I just kept that in mind that I would find good people in my life. And that gave me a lot of confidence because he told me it was okay to be myself. That’s why YouTube is such a cool space in that even if some girls don’t have that directly in their life, they can see other women or other girls like them who are doing their own thing and not succumbing to pressures around them, in terms of who they think that they should be. I’ve always been lucky because I had that support. You’ve talked a little bit in the past about being a young Asian American struggling to conform to Western beauty standards because you didn’t necessarily see those who looked like you in the mainstream. What advice would you give to your younger self about coming to terms with your identity and finding beauty in your own features? It was definitely a struggle when I was a kid to just not see any Asian woman in traditional media and I idolized Lucy Liu from Charlie’s Angels because she was the only Asian woman that you would see. I watched Mulan like a million times because it had a Disney princess who was Chinese, and you know, that’s amazing! I definitely struggled with identity as a kid but I had some really great support systems. I would just say hang in there, and you’ll grow into yourself. You’ll be more comfortable with yourself eventually, hopefully, and I know that doesn’t happen for everybody but if you completely accept yourself and let yourself be true to yourself then that’s I think what would make you the happiest. You were studying Chinese medicine and acupuncture. How did you first get into it and do you think that’s one of the ways that has helped you be more in touch with your Asian identity? My family uses Chinese medicine so ever since I was a kid, it’s just a natural thing that I would go toward, but what really made me interested was when I was in middle school, my mom was diagnosed with cancer. And it kept coming back. When I was in college in Davis, that’s when it happened really bad. She was being given all of these medications and chemo and she started going to acupuncture to try and help calm her down because she was having a lot of anxiety. So, when she started going to acupuncture, she felt like it really did help with some of her anxiety and some of her pain. And she was taking Chinese herbs after the chemo to help draw out all the toxins and impurities because after chemo your body is wrecked. So that’s what really made me become very interested in Chinese medicine and made me want to learn about it. I definitely think that it made me feel really attached to my Chinese identity because I’m talking about something Chinese all day, every day. It was awesome. I hope that Chinese medicine and Chinese herbs become more integrated into skin care in the Western world because I feel like Chinese skin care hasn’t really had a forefront in the skin care world, or at least natural Chinese medicine, and I feel like there could be a lot of really great skin care products that could incorporate Chinese herbs. We know that you’ve released your own merch and you’ve started a new drinks series called SippingSista. Are there any creative projects you want to try going forward? Yeah I started doing SippingSista which is something I’ve been wanted to do for a long time so that’s a passion project that I started. I’m trying to figure out what I want to do and how I want to further my channel or how I can make my channel more open and use it in a positive way. My goals for 2018 are to continue on with what I’m doing and really perfect the craft. I think something that I would love to do would be to move away from this channel being all about me just talking about myself. I would love to start speaking to other people and having more of a conversational thing. I guess I’m using SippingSista to practice having other people with me and to practice being present on camera with somebody else, so I would love to do some sort of interview situation and talk about other subjects. You know, clearly, skincare and makeup but other issues, like how we were speaking about Asian American issues or just social issues in general. What are you most looking forward to in 2018? Beauty or otherwise? A personal goal of mine in 2018 is being more proactive in my community, whether it be my online beauty community but also my actual community, socially, being involved with the women’s march that’s coming up. I want to be more aware and open and absorb information about people that are actually around me. 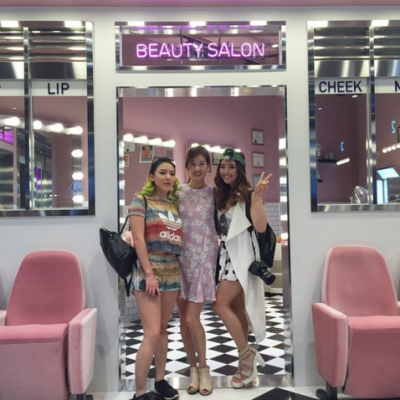 In the beauty world… I feel like 2017 was such a crazy year for beauty, everybody is one upping each other. For 2018, I’m just looking forward to seeing what weird contraptions come out. I feel like every year it gets crazier and crazier and I want to see some insane device that just throws makeup on my face. [Laughs] While you’re sleeping it’ll just plant a mask on your face or something like that. + What questions would you love to ask SoothingSista? Share them with us in the comments below!